What do you think of colour therapy? Do you think it can help to surround yourself with colours that heal? What do you think and what colour makes you feel better? I believe in it for sure. I'm not sure to what degree as it's something that I don't know a whole lot about. But I know that colour can affect my own mood so I believe in it. When I was a teenager my bedroom was so plastered in posters that my room was always very dark. It used to make me feel really fed up at times and in the end, I got rid of all the posters and had my room painted yellow. It made me feel so much better. Yeah for sure, I agree totally. From what I have been reading, it refers back to the chakra's and the colours, I can post about each of the colours in relation to colour therapy if you like? I was gonna go to one of those Colour Me Beautiful parties, a few years ago. I was looking forward to it but it got cancelled. I choose the colour of the clothes I wear according to how I feel sometimes...I just go with my gut.....I don't have a set colour for a certain mood or anything. I bought a book on colour healing at the MBS Fayre. i havent read it all, it is very interesting. I like the idea of you posting about colours and chakras lady. The colour of violet/purple relates to the crown chakra which is at the top of the head, the organ of the body is the brain, the endocrine and pineal glands. 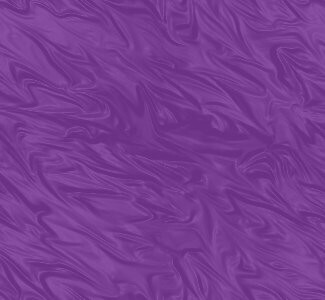 Violet is the highest colour of the visibl spectrum and is considered a 'cool' colour, it is a calming colour and can therefore be very helpful for those who suffer with sleep difficulties or stress, it can be contra - indicated for people that suffer depression. The problems that may be associated with the crown chakra include, depression, parkinsons disease, shcizophrenia, epilepsy, senile dementia, alzheimers and many other mental illnesses. Dizziness, confusion and even just general muzzy feeling. within religions across the world). is the colour relating to our intuition. Indigo relates to the brow chakra, or the third eye and is positioned in the middle of the forehead. the organs related to this chakra are the eyes, lower head, sinuses the endocrine and pituitary glands. path and needs and trusting one's own intuition. growth and differ from the gut feelings. places. Bedrooms or treatment rooms for example. Blue relates to the throat chakra and is associated with the throat, lungs, endocrine and thyroid glands. An imbalance in this area can cause problems in the upper digestive tract. Blue relates to self expression, speech, communication and the ability to communicate your needs and requirements. Spirit of truth and purpose. Some of the associated problems include, thyroid - both over and under active, anorexia nervosa (which is a multi chakra problem but relates strongly to the throat chakra), asthma, bronchitis, hearing problems, tinnitus- may also be connected to problems with the brow chakra, problems of the upper digestive tract, mouth ulcers, sore throats and tonsillitus. Green relates to the heart chakra, the associated organs are the heart and breasts and the thymus gland. Green is a balancing colour which is in the middle of the spectrum, the higher three colours are known as the 'cool' colours which are calming, and the lower three colours are the 'warm' colours which are stimulating - green is the balance of the two. A therapist will use green at the end of a treatment as a balance. As the colour of harmony and balance it is useful in times of stress and can have a theraputic effect if used as a shawl after trauma. Yellow relates to the sacral or solar plexus chakra, and is related to the spleen, liver, stomach and small intestines the endocrine gland is the pancreas. Yellow relates to how we feel about ourselves, how others percieve us and our self worth. This is the area of the ego, the personality, intellect and self confidence. In the lower half of the visible spectrum, yellow is a 'warm' colour and can be helpful when concentration is required and very helpful with study. Orange is the colour of the sacral chakra which is located in the lower abdomen. The organs which relate to this chakra are the large bowel, uterus, prostate, ovaries and testes. The endocrine glands are the ovaries and testes. This chakra relates to self respect and the ability to have the freedom to be ourselves and respect our own boundaries and requirements, and also to respect the boundaries of others. Orange is the colour of creativity, and you should make space for creative time. used in any activity area and creative areas. Red relates to the base chakra. The organs related to this chakra are the kidneys and bladder, the vertabral column legs and hip area are also related to this chakra and the adrenial gland. This chakra relates to self awareness, awareness of ourselves as human beings and our place on earth. It is the area of survival and relates to our basic human intsinct of fight or flight. Red gives us courage and strength and relates to stability and security. kidney stones, impotence, problems with hips, legs and feet. visible spectrum and is known as a "warm"
low blood pressure, to boost sluggish circulation. flow. (That is to say as a colour treatment). Pink may be used instead in such cases. I shall refer to this often. Thanks Helen, they were really interesting! I will be learning more about this when I get on with my studies, time permitting this will be soon! I look forward to learning more. I am currently studying Australian Bush Flower Essences and colour comes into that quiet a bit. A good exercise in Color theory which is easy to do. Go to a mac donalds with its yellows and reds and sit there for 5 - 10 minutes, and notice how you feel. Then find a cafe which has more earthy colours such as deep earthy red, and browns, etc you'll probably need to order something to sit there so get a tea and coffee, sit and observe how you're feeling.